Ubisoft just confirmed via press release that Assassin’s Creed 3 is, in fact, coming to the Wii U. With a development cycle of over three years and twice the production capacity of any previous Ubisoft game, Assassin’s Creed III is set to release on the Xbox 360® video game and entertainment system from Microsoft, PlayStation®3 computer entertainment system, Windows PC and is also in development for Wii U™ from Nintendo. The press release cited a release date of October 31, but the wording of the above statement makes it sound as if the Wii U version is in a separate development stream and might come out later. I’m just speculating here, of course, but Ubisoft might not know the Wii U’s exact release date yet and thus be hesitant to provide an exact date for that version of the game. You can read the full press release after the break, if you’re interested. 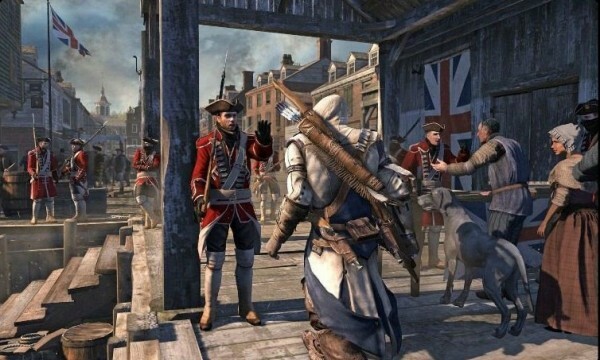 Assassin’s Creed® III will hit store shelves on October 31, 2012, encouraging gamers to experience the American Revolutionary War not written about in history books. The largest project in Ubisoft’s history also introduces a brand new hero.